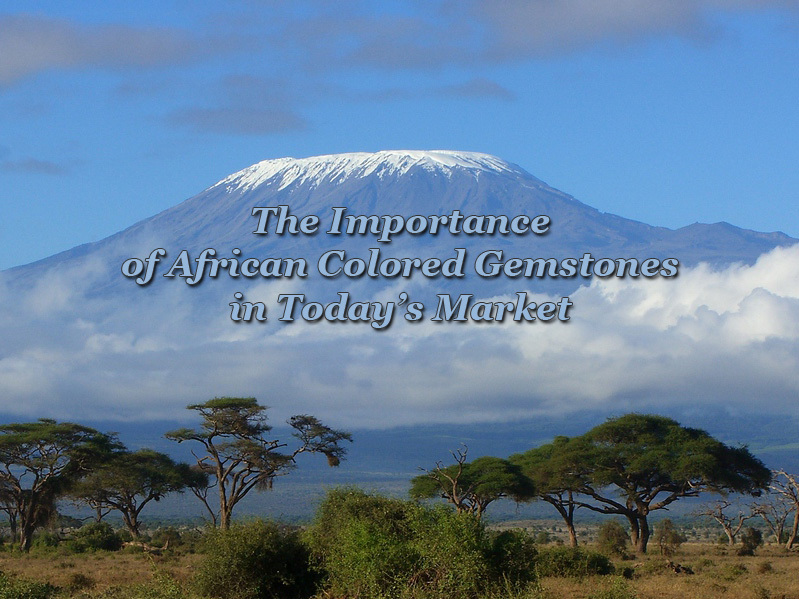 A slide show by Pala’s Bill Larson, presented at the 2012 Arusha International Gem, Jewelry and Mineral Fair. Beginning with Slide 3, hover over image to display caption. Merelani mix. 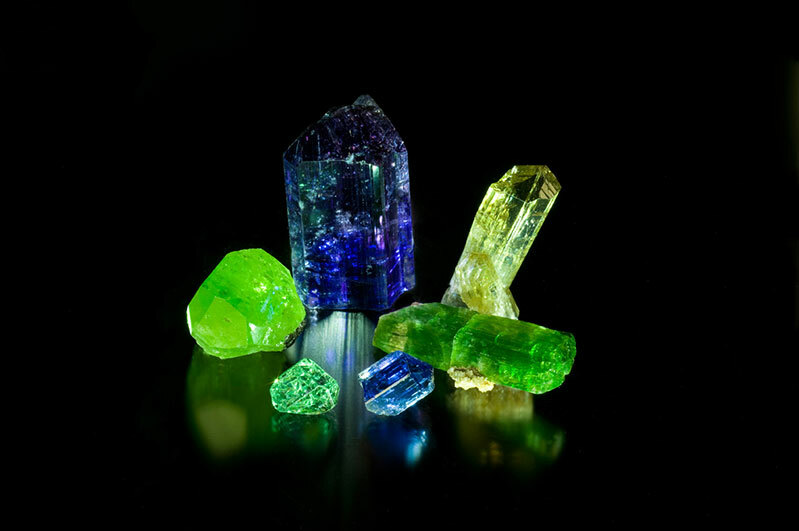 Clockwise from top center: tanzanite 5.5 x 2.7 cm., yellow zoisite 4.6 x 1.5 cm., tremolite 5.1 x 1.8 cm., tanzanite 1.7 x 1.1 cm., grossular garnet 0.9 x 1.4 cm, diopside 3 x 2.5 cm. From the collection of William Larson. 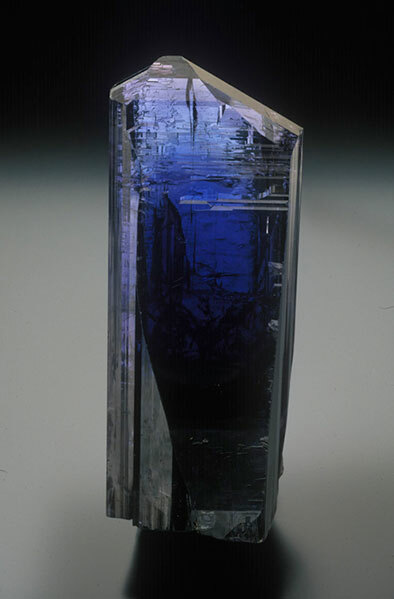 Fine unheated tanzanite crystal, Merelani, Tanzania, 8.5 cm. 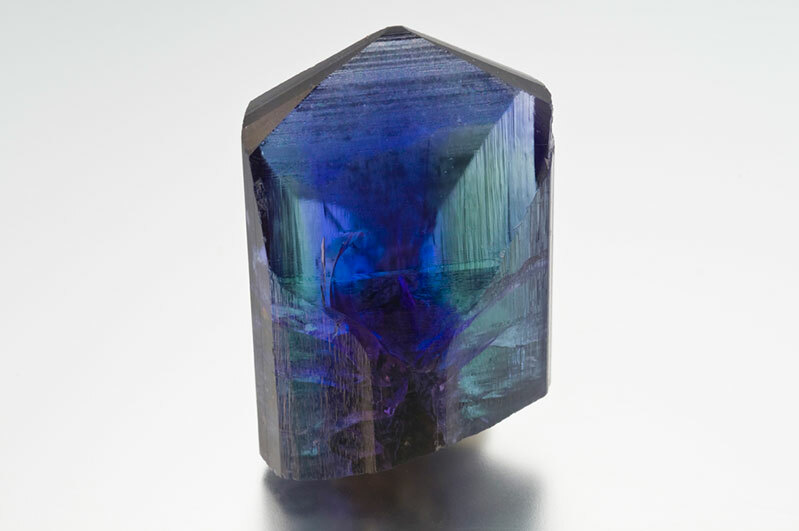 Unheated bi-color tanzanite crystal. Merelani, Tanzania, 4.5 cm. 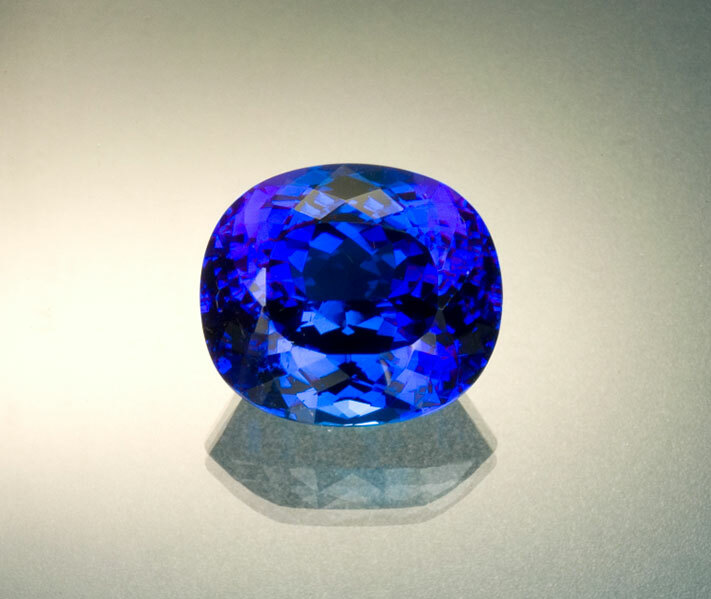 50-plus-carat gem tanzanite. Merelani, Tanzania. Yellow zoisite. 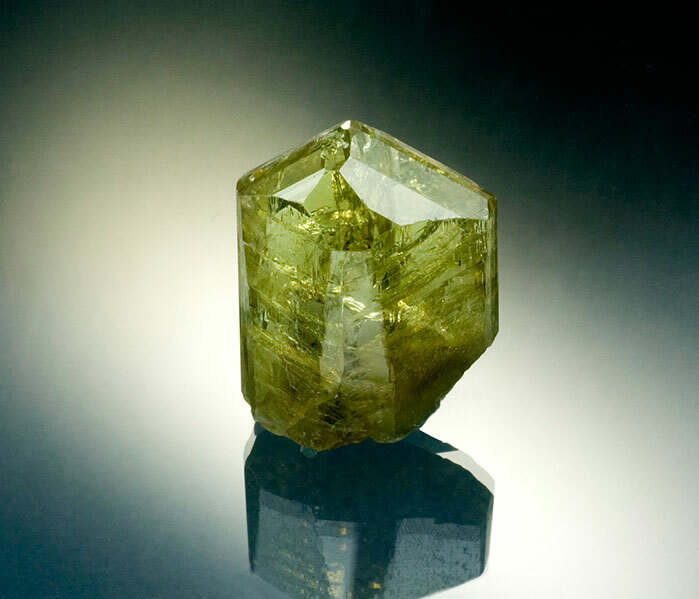 Merelani, Tanzania, weight 79.48 ct, dimensions 2.8 x 2.3 x 1.3 cm. Purple-pink zoisite. 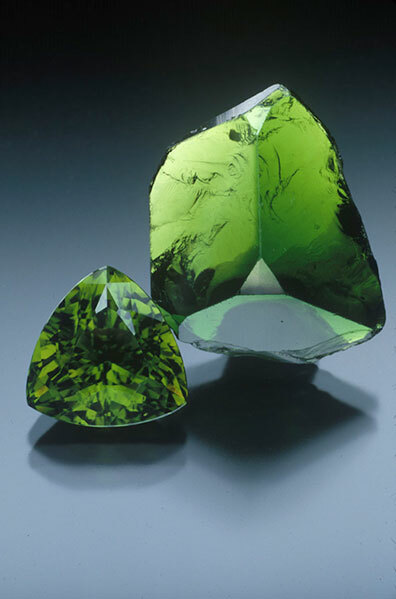 Merelani, Tanzania, 4.28 carats, 12.18 x 8.89 x 5.61 mm. Fine group of mint-green grossular rough. 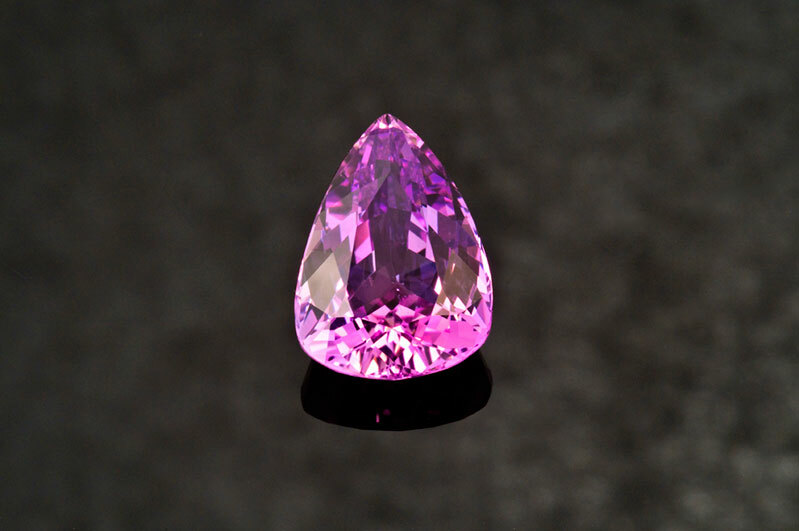 Merelani, Tanzania, with a cut gem of 7+ carats. Mint-green grossular. Merelani, Tanzania, 6+ carats. 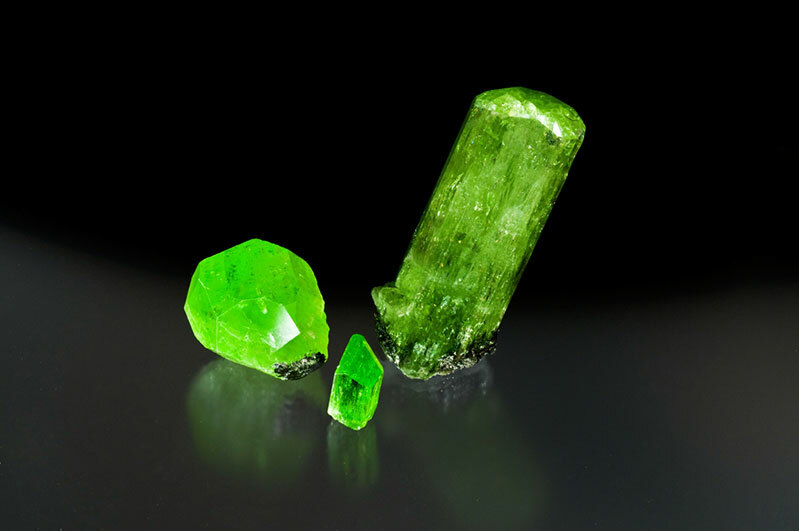 Fine diopside crystals. 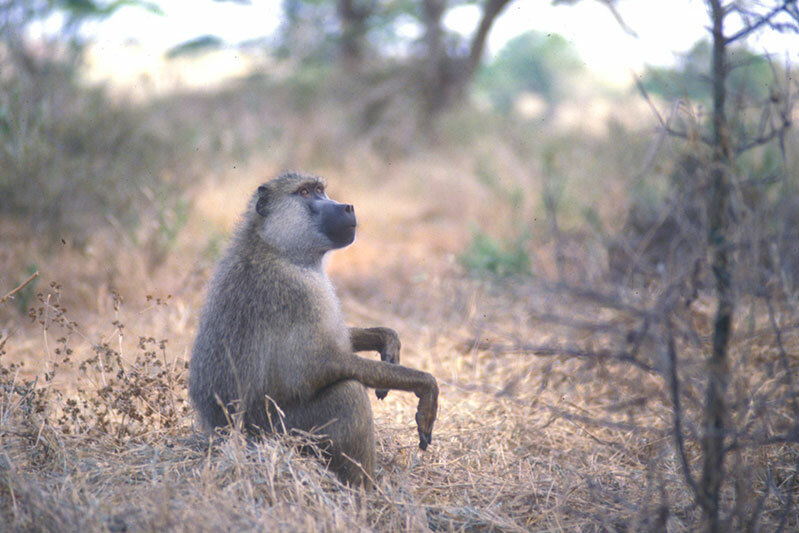 Merelani, Tanzania, the largest being 5.5 cm. 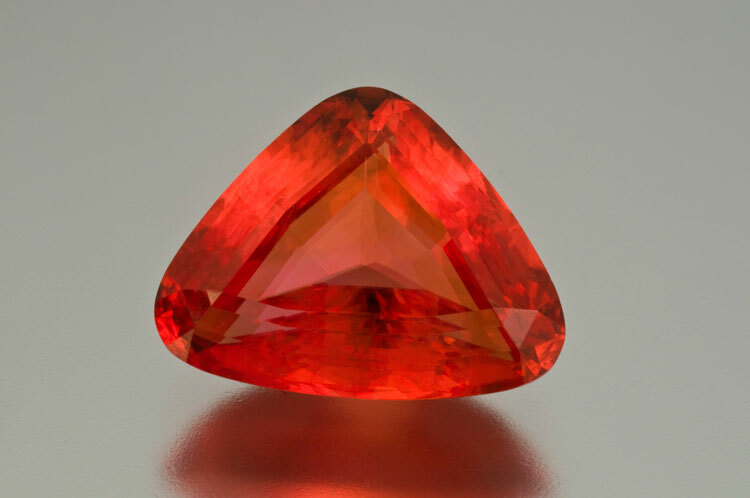 Rhombohedral ruby crystal in matrix. Winza, Tanzania. The crystal measures 8 mm. Winza gem ruby rough. The small gem crystal measures 6 mm. 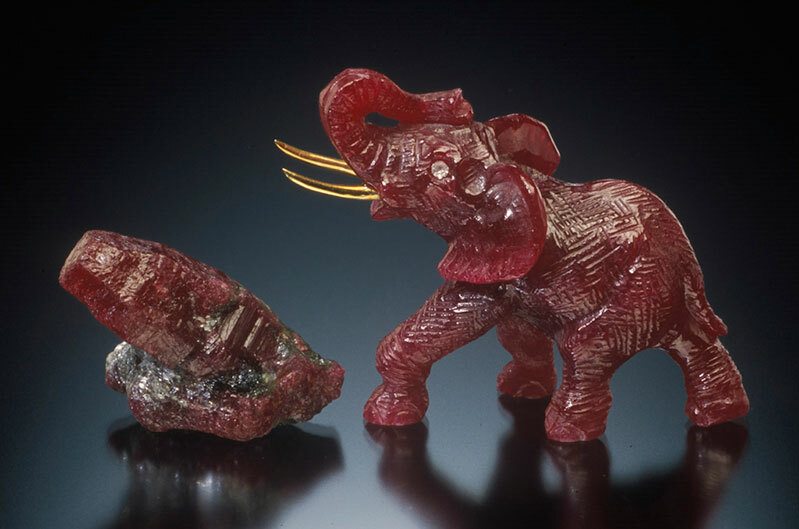 A selection of rubies from Winza available from Pala International. 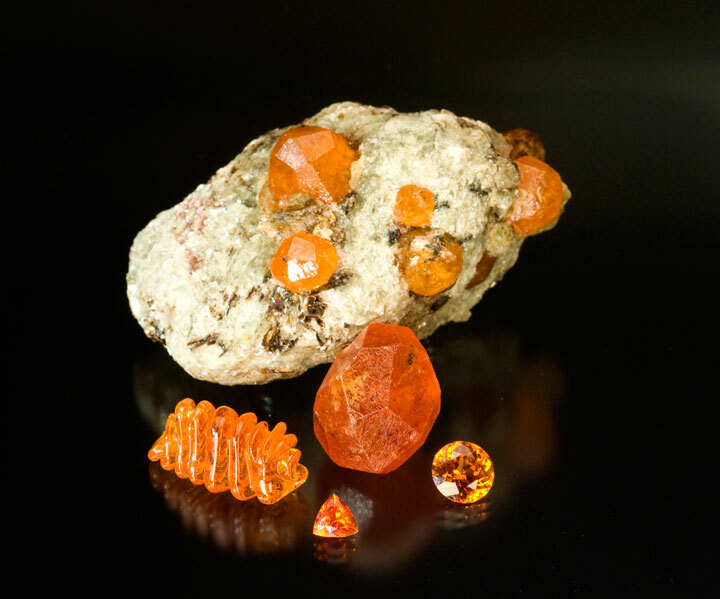 Spessartine, Nani, Loliondo, Arusha Region, Tanzania. The matrix specimen measures 8.5 cm. Carving by Meg Berry. 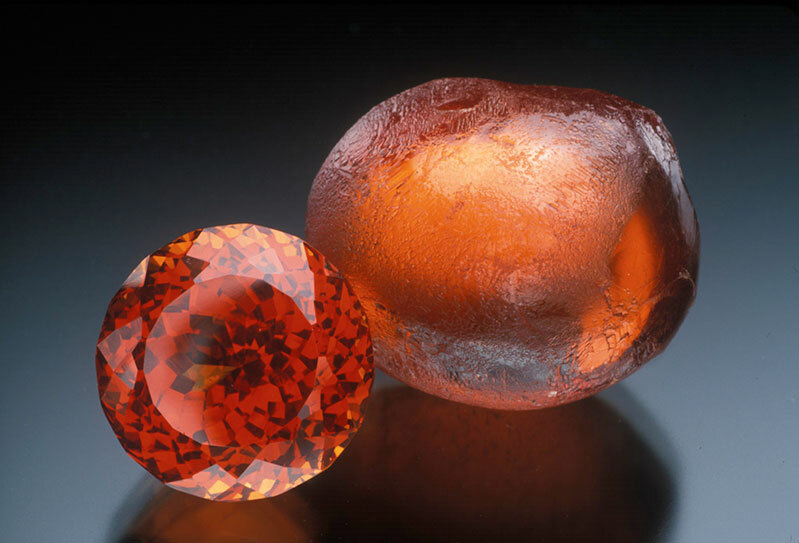 Malaya garnet, Umbar, Tanzania, 23 ct, Collection of William Larson. 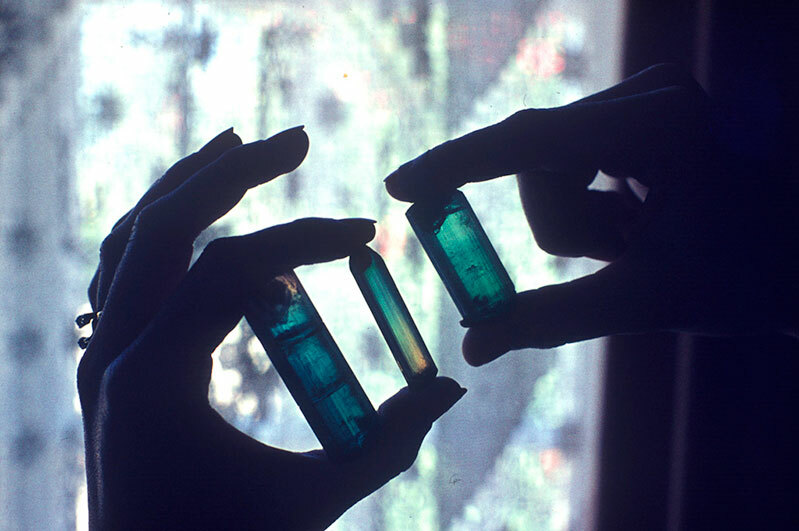 Chrome tourmaline, Tanzania, 7.63 ct and 2.4 cm high, Collection of William Larson. 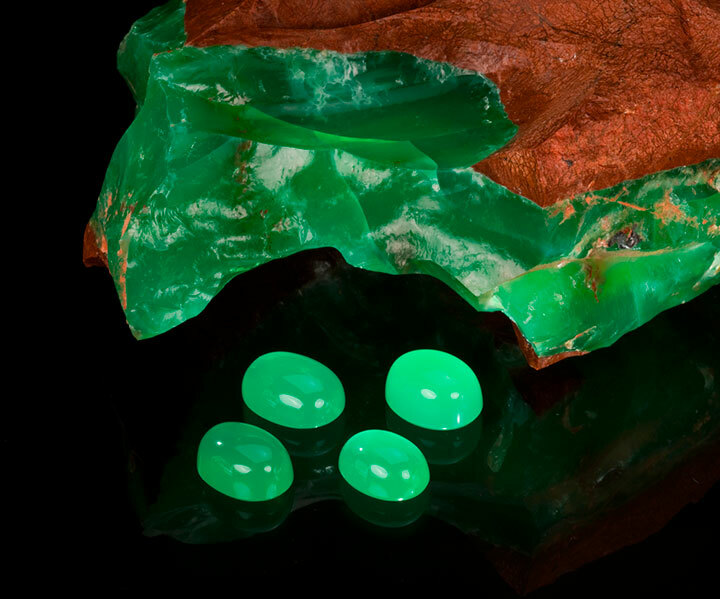 An assortment of prase opal cabochons with a chunk of rough showing the gem vein and the surrounding matrix. From Heneti, central Tanzania. 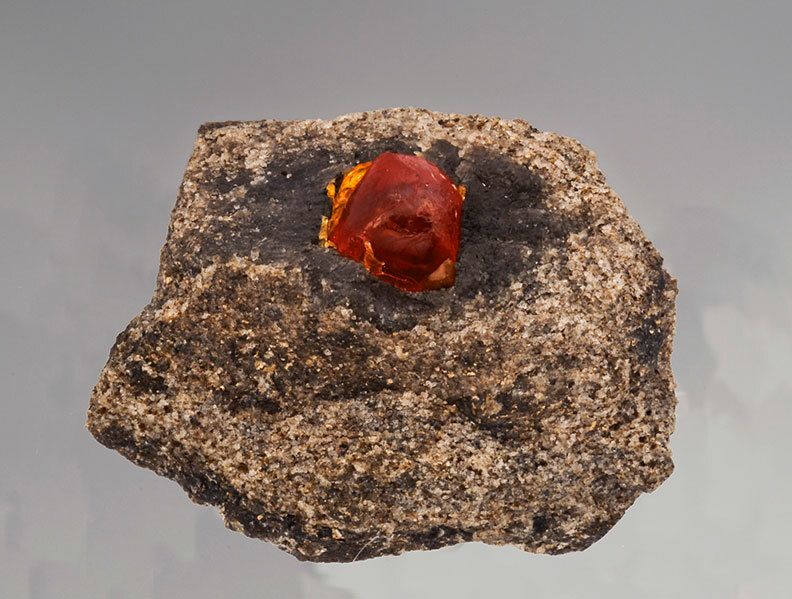 This 52-kg spinel crystal was discovered in the summer of 2007 at Mahenge&rsquo;s Joel Box. So big, it was split into smaller pieces for easier transport. Spinel hard rock mining area, Ipanko, Mahenge, Tanzania. 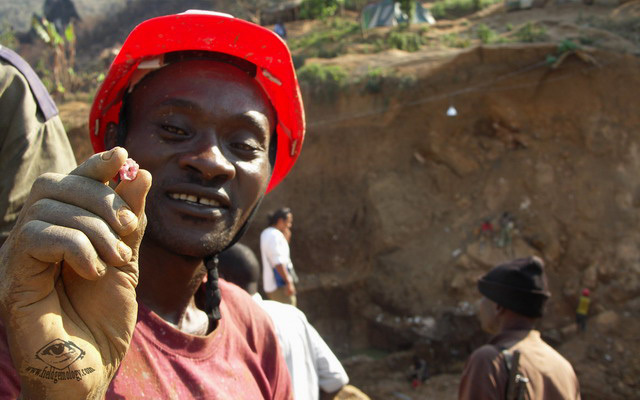 Spinel miner Benjamin Makoti present us some of the spinels he took from the marbles at Ipanko. 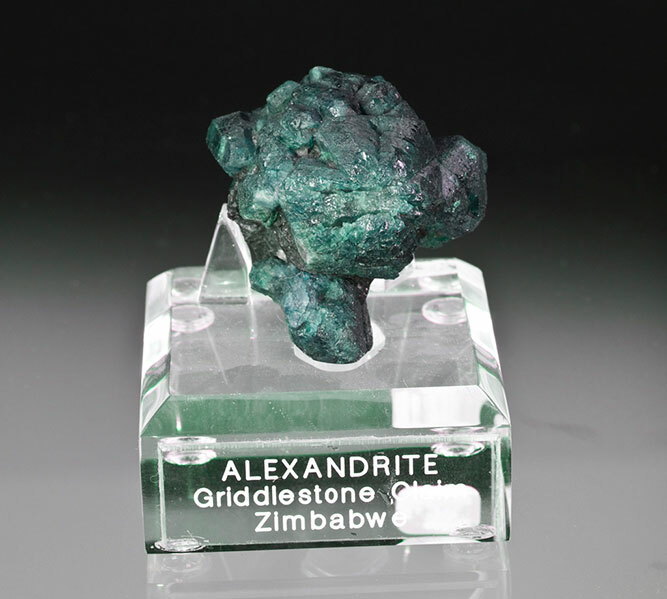 In that mine, spinels are associated with clinohumite and blue apatite. Palagems.com's gem spinels from Mahenge, Morogoro Region, Tanzania. 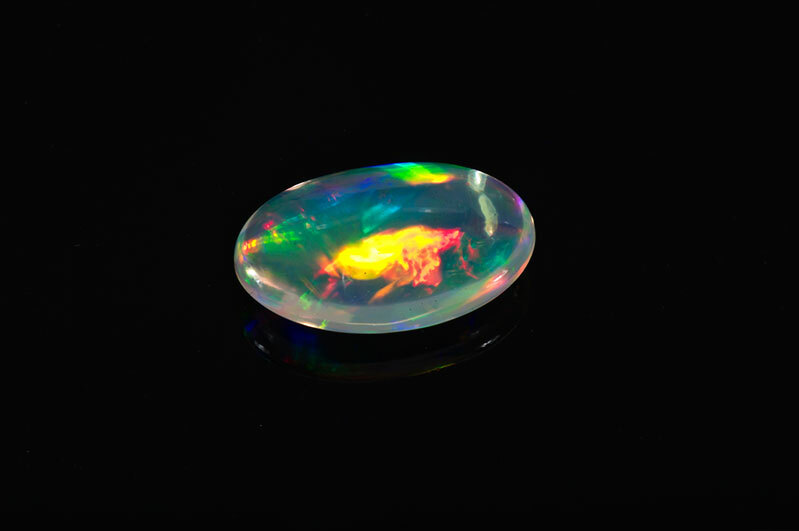 The largest weighs 5+ carats. 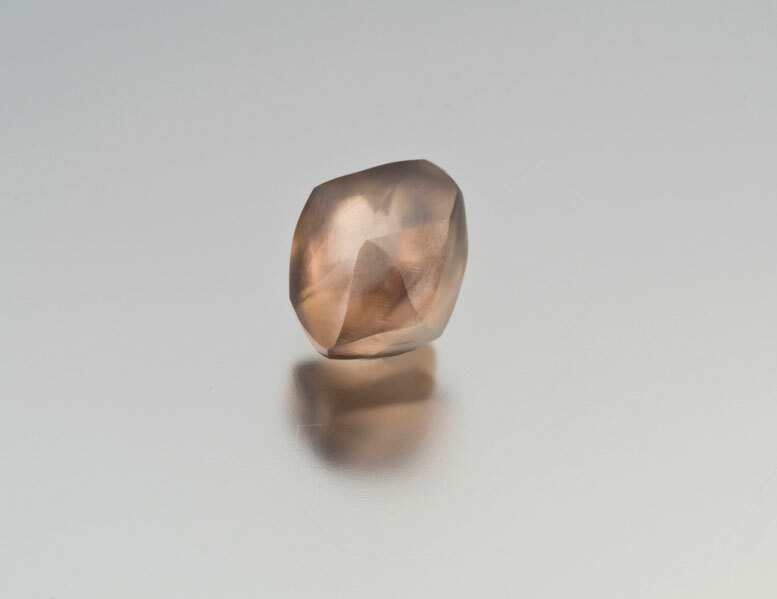 A 6-plus-carat gem spinel from Mahenge. 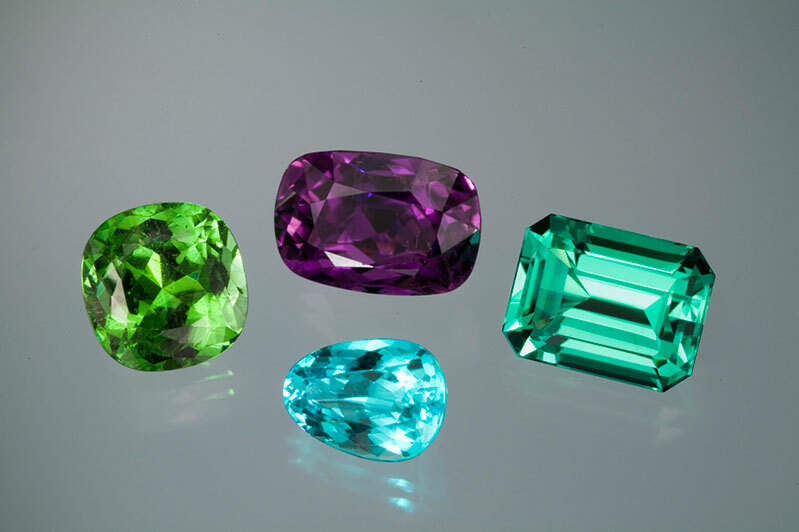 Pala International's gems from Tanzania: (from left to right) tanzanite, tsavorite, tanzanite, and chrome tourmaline. 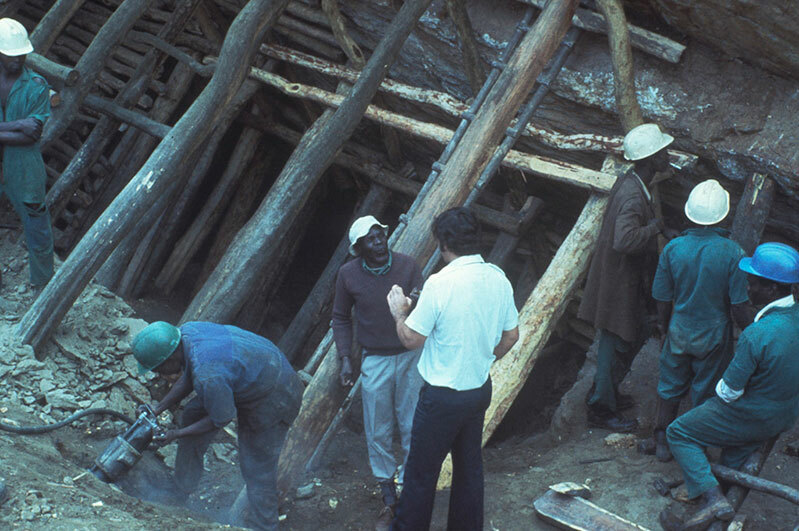 David Howorth speaks with workers at the Lualenyi Mine in Kenya's Taita Taveta District, late 1970s. 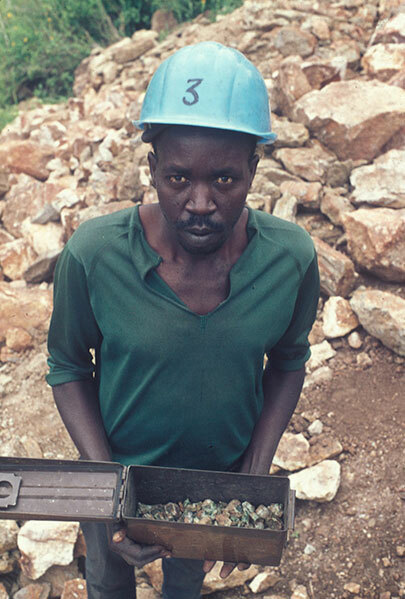 A day's production at the Lualenyi Mine, late 1970s. 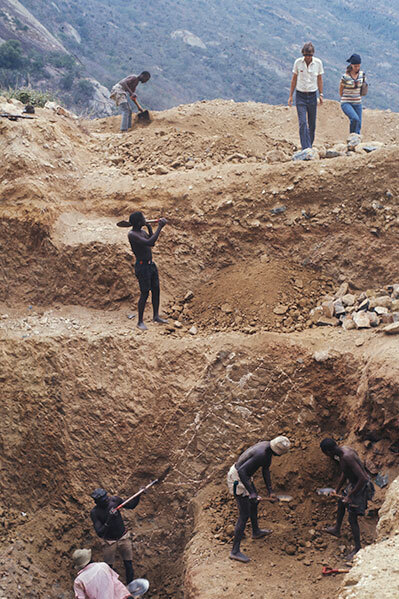 Jeanne Larson examines rough at the Lualenyi Mine. 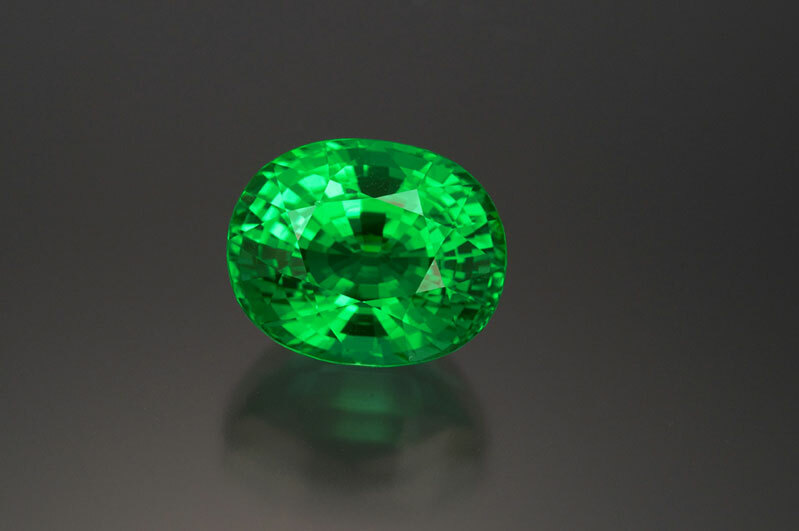 Fine 5-plus-carat tsavorite from the Lualenyi Mine. A ruby mine in Voi, Taita Taveta, Kenya. From Voi, Tata Taveta, Kenya a crystal from the John Saul ruby mine, 3 cm, and a carving by Gerhardt Becker from Voi, Kenya, rough. From the William Larson Collection. 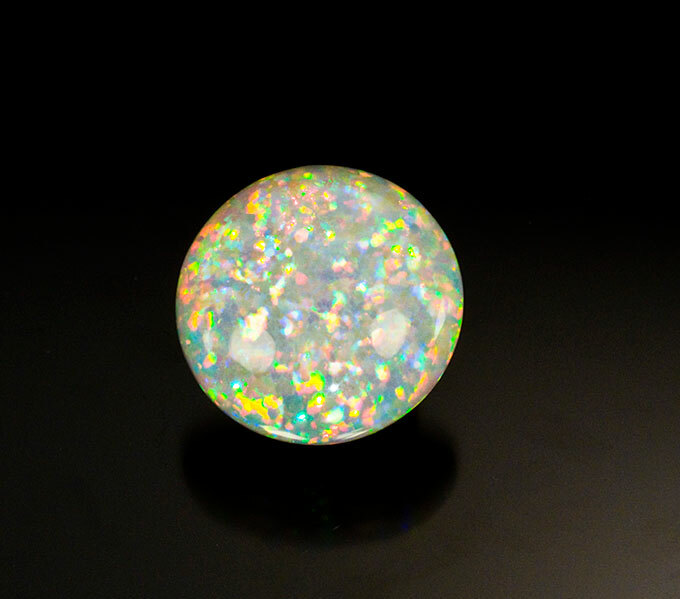 A fine 30-plus-carat Eithiopian opal from Wello (aka Wollo). 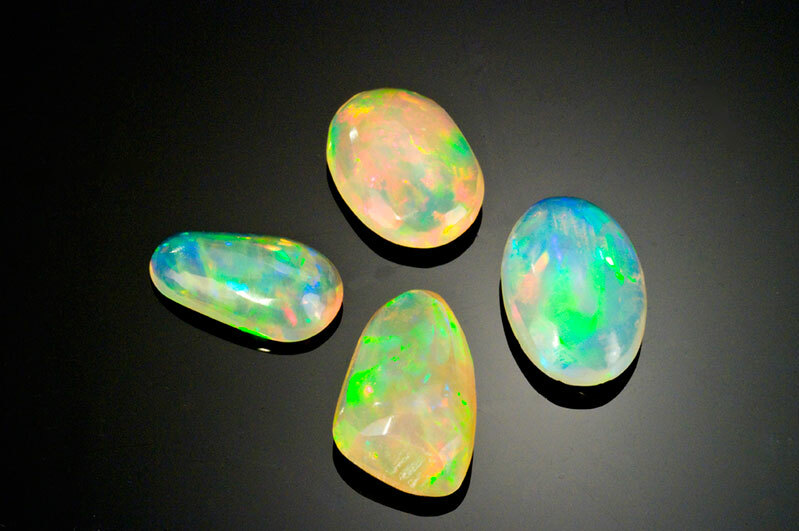 Pala International's Wello opals from Ethiopia show a bounty of colors: clockwise from top, 2.75 ct, 3.38 ct, 3.4 ct, 1.86 ct.
A 30-plus-carat Wello opal gem. It later lost transparency and turned opaque, with the fire still visible but very changed. 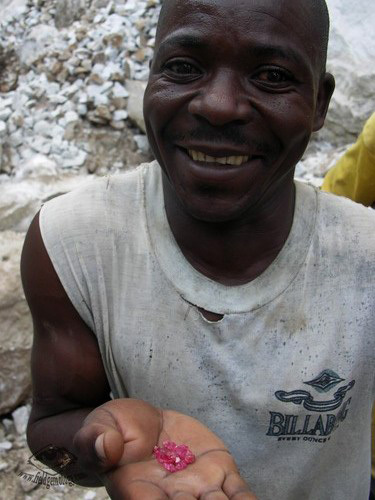 A beautiful diamond crystal, 11 carats, Democratic Republic of the Congo. 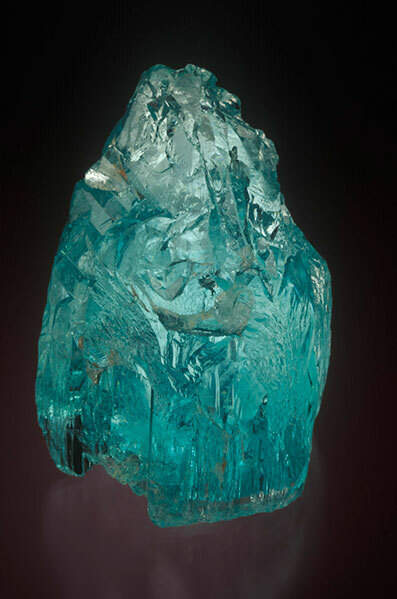 Pala International's large aquamarine and tourmaline cluster 20 cm, Erongo, Namibia. 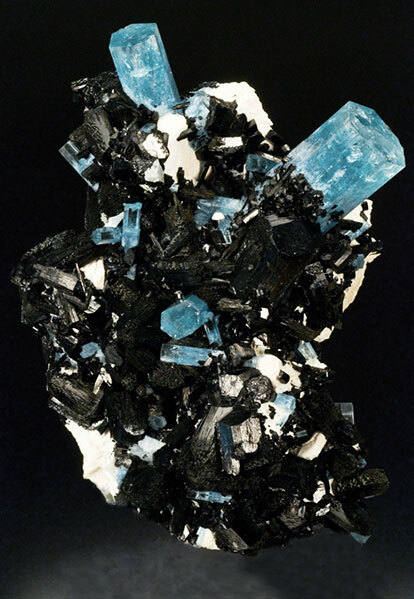 Aquamarine crystals in quartz, Erongo, Namibia, 14 cm. 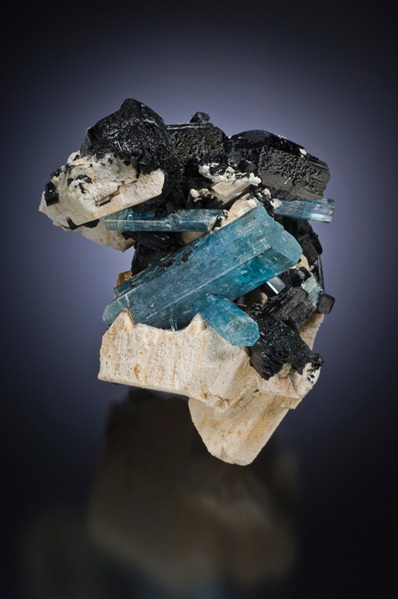 Namibian aquamarine with schorl tourmaline, 12.5 cm. 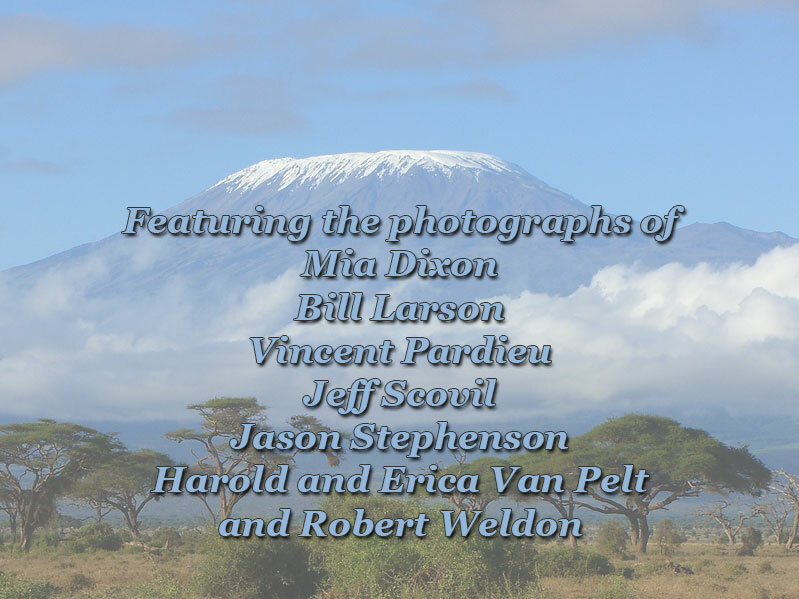 This Palaminerals.com specimen now is in the Ron Gladnick Collection. Rare gem tourmaline crystals from Usakos, Namibia. The center bi-color now is in the William Larson Collection; photo taken 1976. 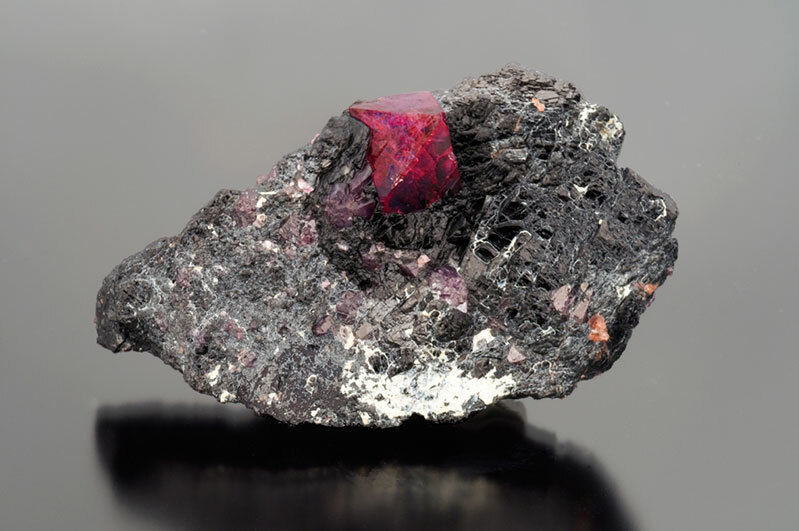 Rare spessartine in matrix, Marienfluss, Namibia, 6 cm. 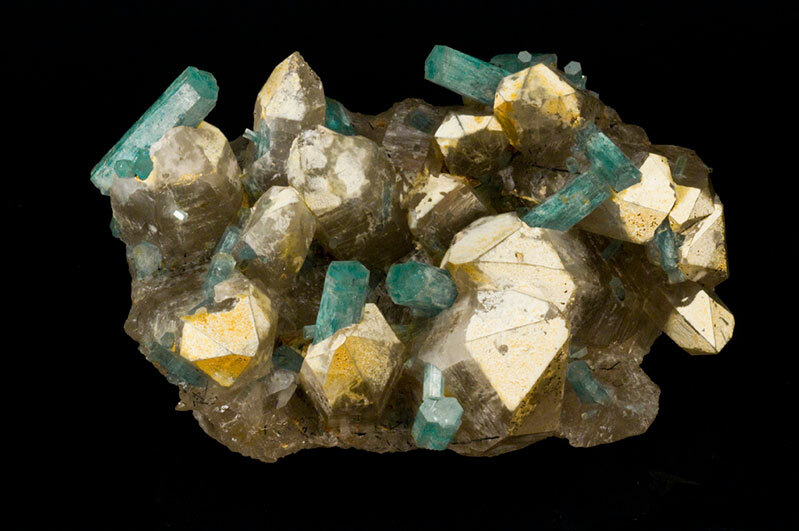 Fluorite with phantoms, Erongo, Namibia, 5.5 by 5 cm. This is one of the so-called 'alien' fluorites. 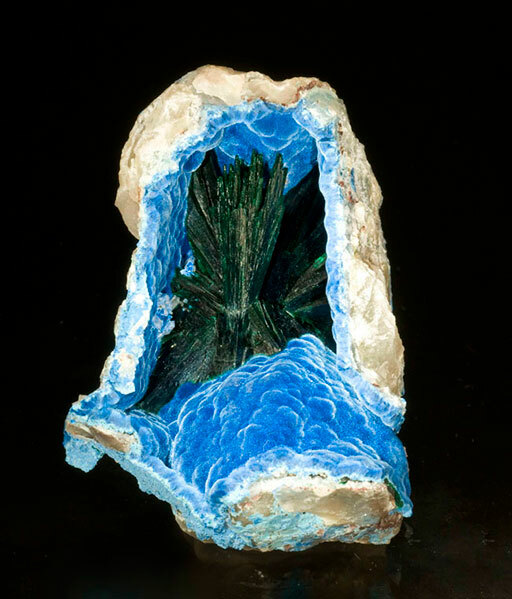 Malachite in shattuckite from the Kaokoveld region of Namibia, 7.5 x 5.4 x 3.1 cm. Rhodochrosite specimen, N'Chwaning, South Africa, 4.1 x 3.1 x 2.8 cm. Pala International's 8.11-carat gem rhodochrosite from N'chwaning Mines in South Africa. Color change alexandrite from Zimbabwe, 4.2 x 4.1 x 2.9 cm, from the Girdlestone Farm locality in the southeastern province of Masvingo. 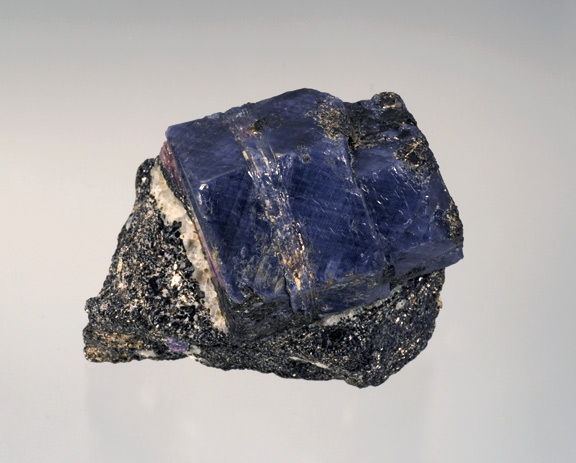 Sapphire crystal in matrix, Betroka Department, Madagascar, 8 cm. Sapphire, Madagascar (mined in Ilakaka or perhaps in Andranondambo), 3.65 ct, 9.38 x 7.54 x 5.9 mm. 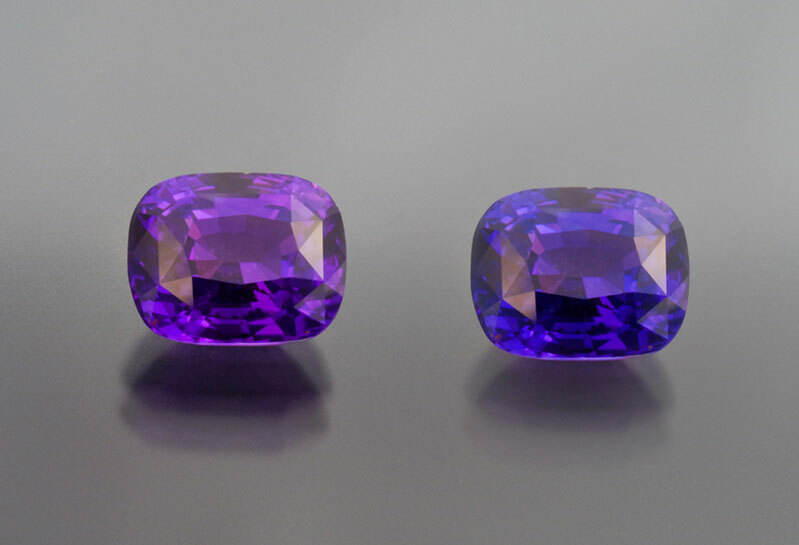 Matched pair of purple sapphires, Ilakaka, Madagascar. Total weight 10+ carats. 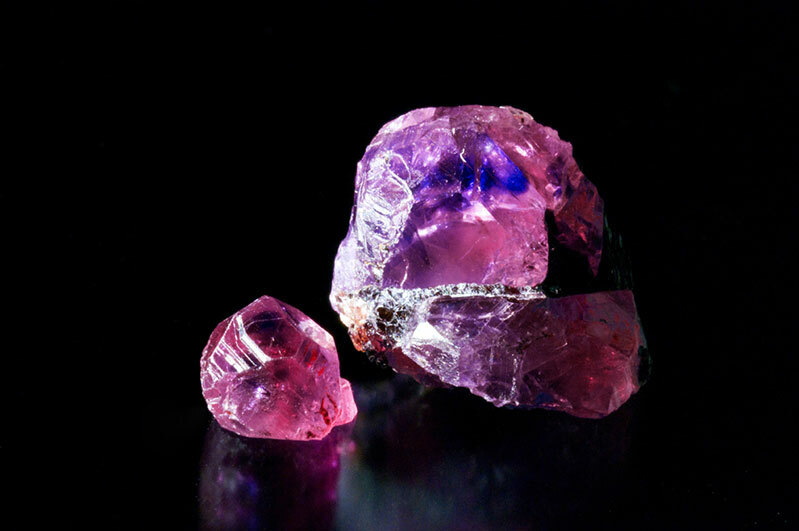 Pala International's beautiful matched (heated) pink sapphires from Ilakaka. 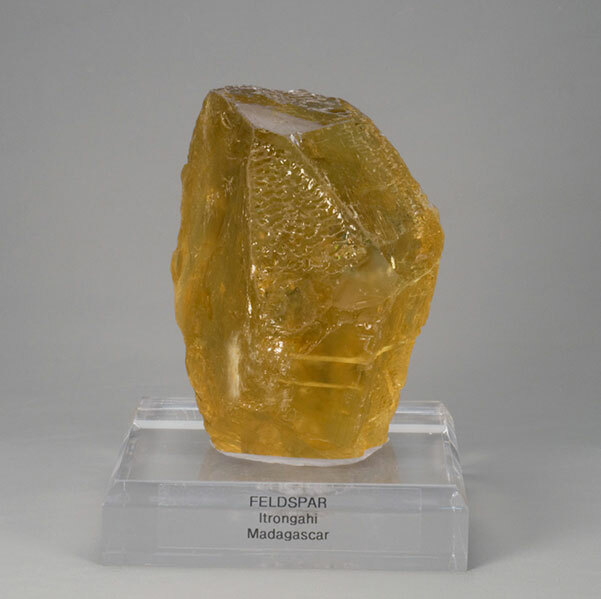 Feldspar, Itrongahi, Madagascar, 4.5 x 3.5 x 2.25 inches. Natural crystal of gem quality aquamarine from Mozambique. Old H Bank specimen now in the William Larson Collection. Elbaite, Alto Ligonha, Mozambique, 7.8 cm high, Collection of William Larson. 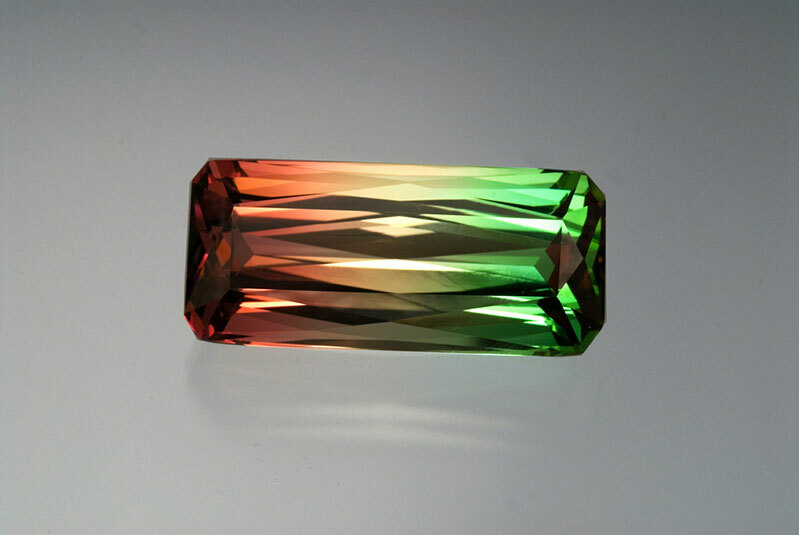 Pala International's multi-colored tourmaline, Mozambique 59.40 ct, 36 x 15.23 x 12.57 mm. Gem quality nodules of copper-bearing tourmaline from Mozambique. 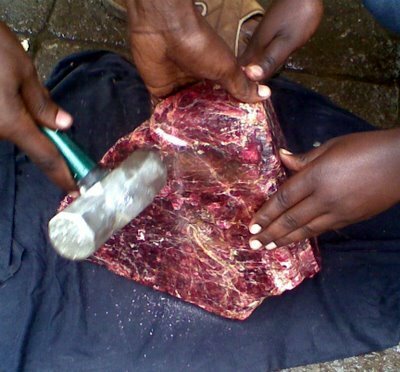 Amongst the cut stones, the largest is 15+ carats. 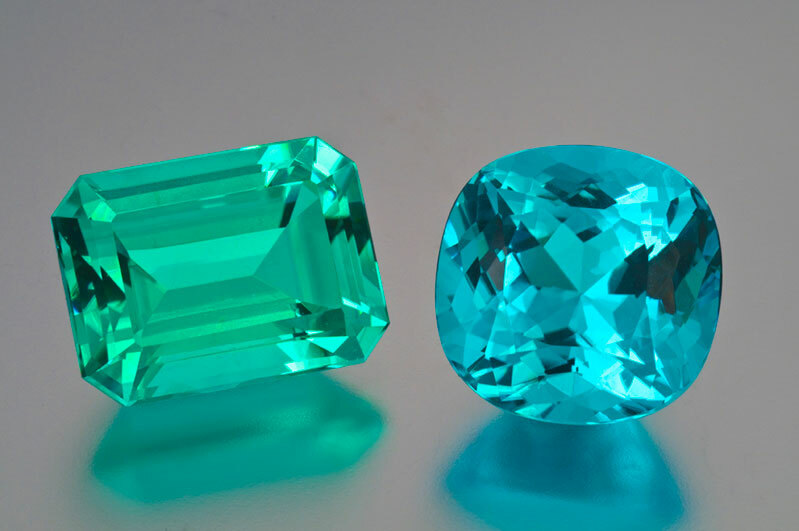 The 8-carat pear cut is the favored Paraiba color. 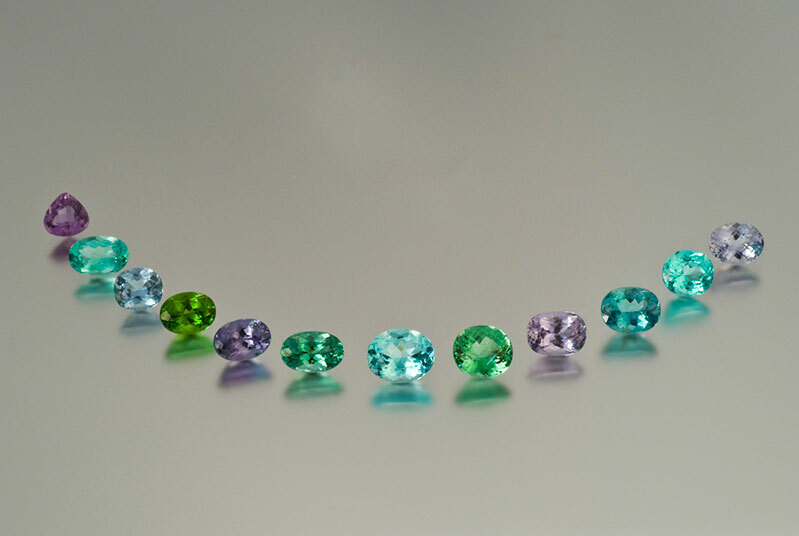 A suite of copper-bearing Mozambique tourmalines from Pala International. Twelve pieces, 30.66 carats. 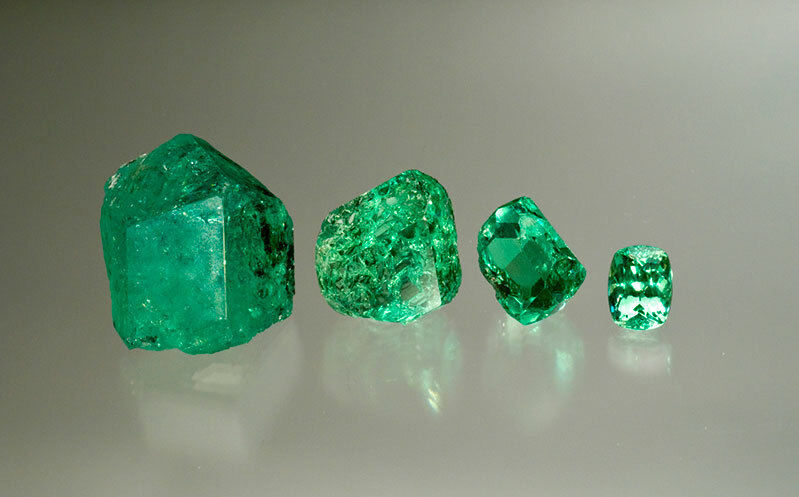 More copper-bearing Mozambique tourmalines from Pala International. 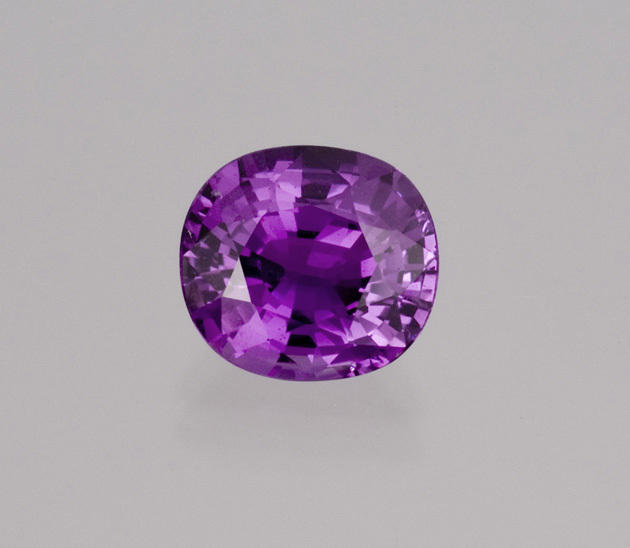 The amethyst color cushion is 15+ carats and would heat to fine Paraiba blue. 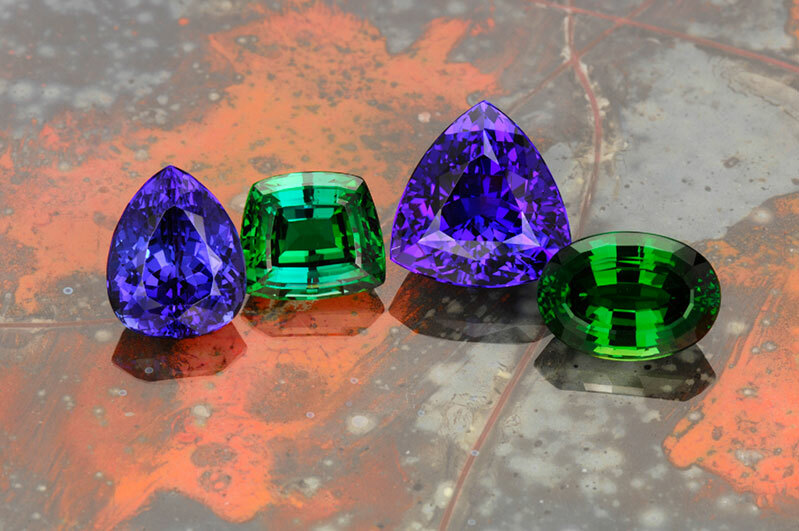 Purple tourmaline, Mozambique, 9.92 ct.
Rare copper tourmaline, 15+ carats, natural-color greenish Paraiba. 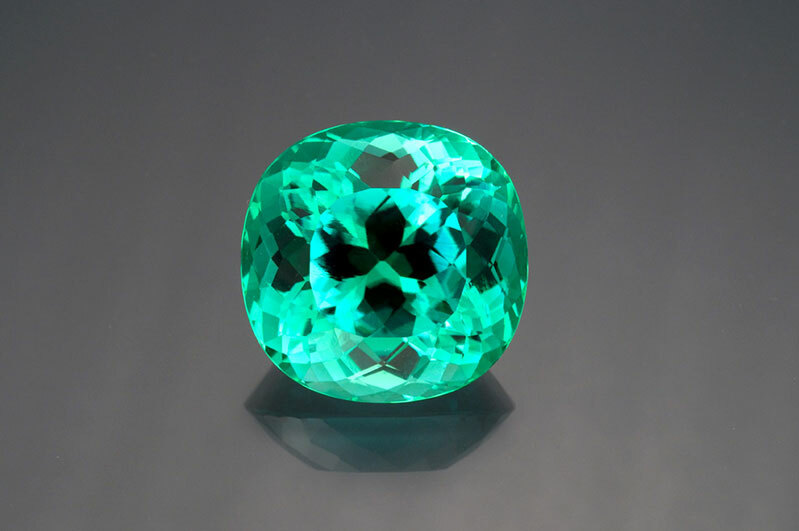 Paraiba-type tourmaline from Mozambique, 70.74 carats, cushion cut, 25.05 x 24.68 x 18.38 mm. Brilliant/step-cut vivid red Mozambique ruby, 3.59 ct, 7.9 x 7.78 x 6.56 mm.